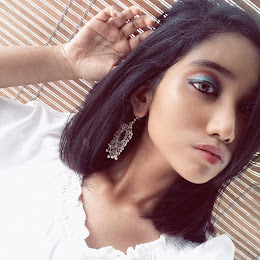 It's been so long since I upadate my reviews in this blog. 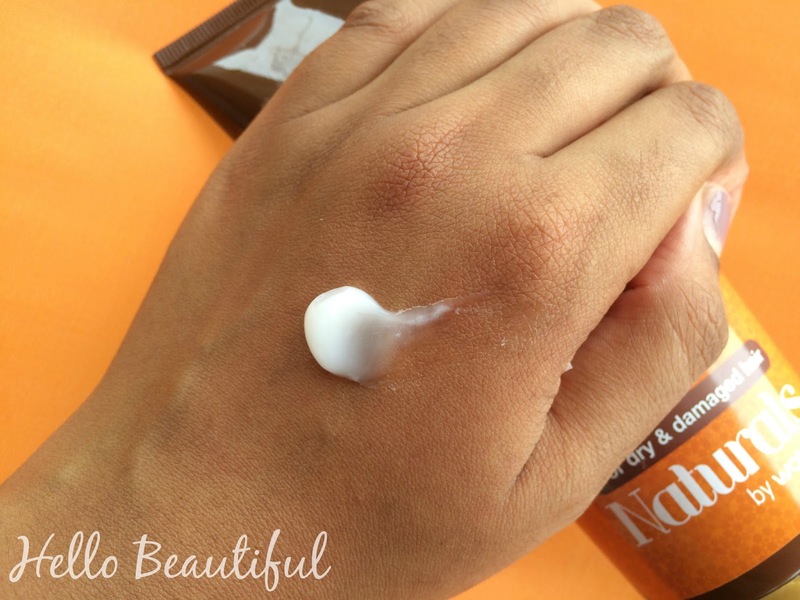 However, I'm back with another review on Watson's natural products. 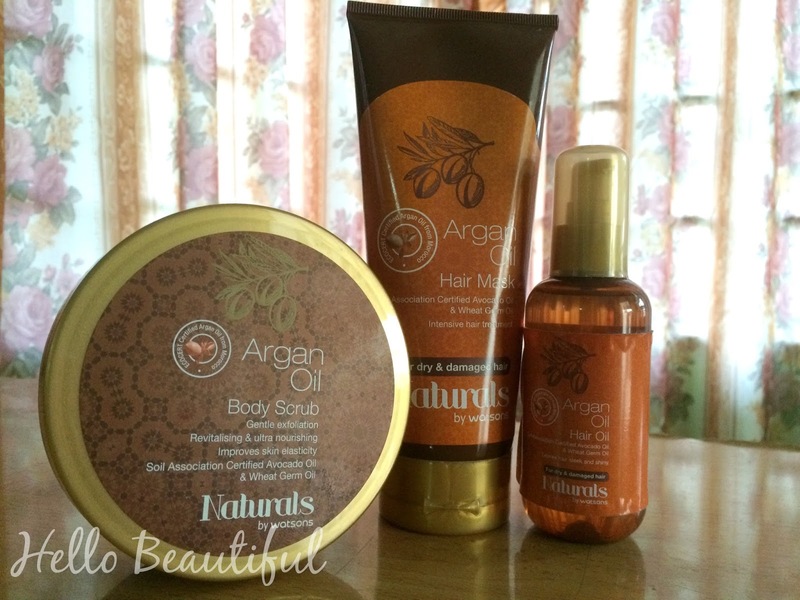 Today I'm having Naturals' Argan Oil Hair Oil, Hair Mask and Body Scrub. Overall these products work like a miracle. To be honest I'm quite impress with these products. I am not paid to talk like this. This is all from my mouth. 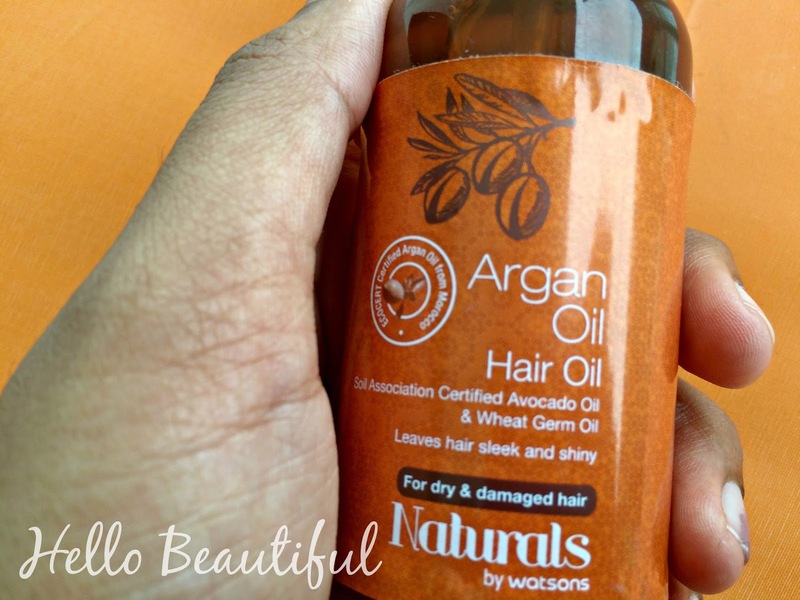 First let's talk about our Naturals' Argan Oil Hair Oil by Watson. This hair oil is for dry and damaged hair. I personally have oily hair. I don't use this everyday on my hair since my hair produces more than enough oil. I use this oil on my hair every time right after my hair wash day. I tend to use blow dryer every time to dry my hair, so it really cause some damage. So, I use this hair oil just to make everything goes well. FYI, I'm trying to avoid hair dryer as much as possible now. This product is claimed that leaves our hair sleek and shiny. 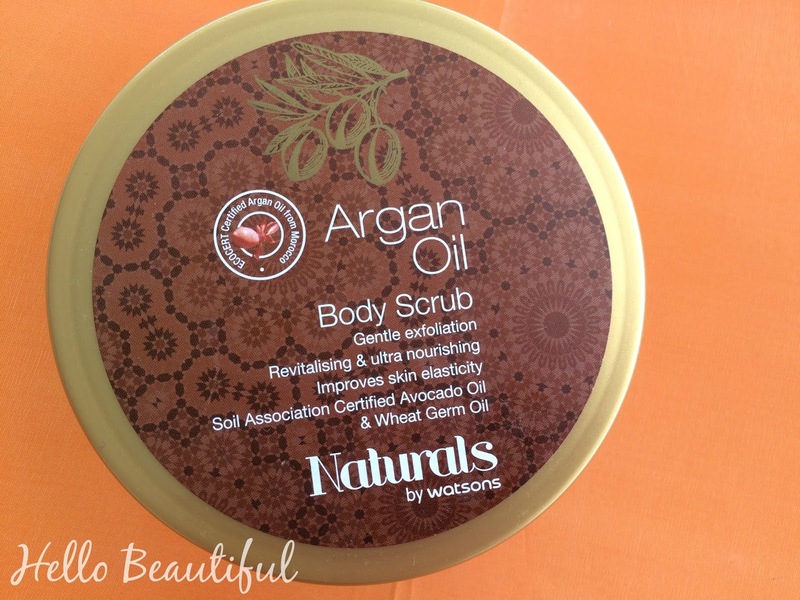 It also has the "stamp mark" claims ecocert certified argan oil from Morocco. At the back it also says that 5 benefits in 1 formula: nourish, detangle, smooth frizz, damage repair, strengthen, free from parabens, polyethelene glycol, alcohol, colorant and preservative. It use as a leave on conditioner there is another conditioner that you will use in the shower but I didn't get that one because I have my regular conditioner that I always use and I love that. After I use this about 2 months, I can conclude that It does tame my frizz. I leaves my hair shiny. One cool thing I realise is, it help my hair to grow faster. 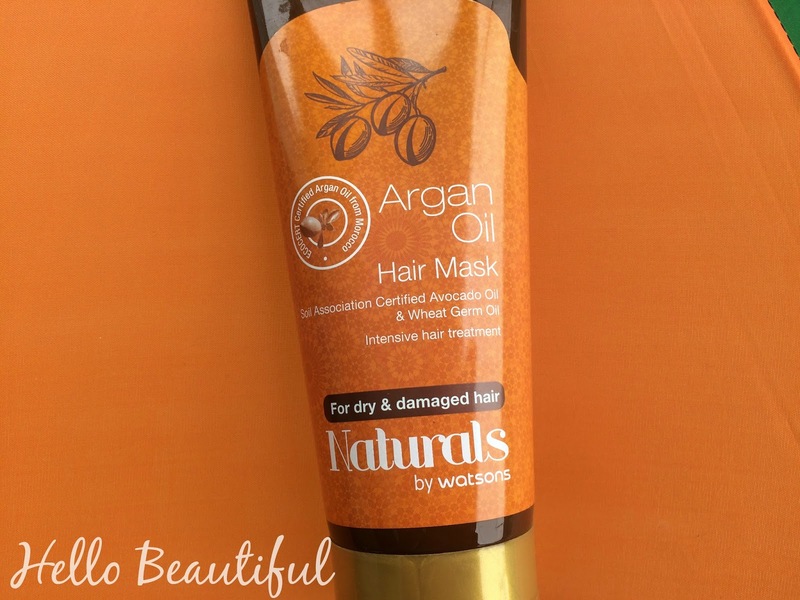 Next is Naturals' Argan Oil Hair Mask. It is also for dry and damaged hair. As I said just now my oily scalp works great with this hair mask too. It claims that it is for intensive hair treatment, nourish, detangle, smooth frizz, damage repair, strengthen, free from parabens, polyethelene glycol, alcoholand colorant. After I apply and wash my hair my hair instantly feel lighter than before. I have pretty thick hair. If I can feel that my hair is lighter it can't be a doubt. I love the fragrance too. My hair feels strong and healthier after I use this. 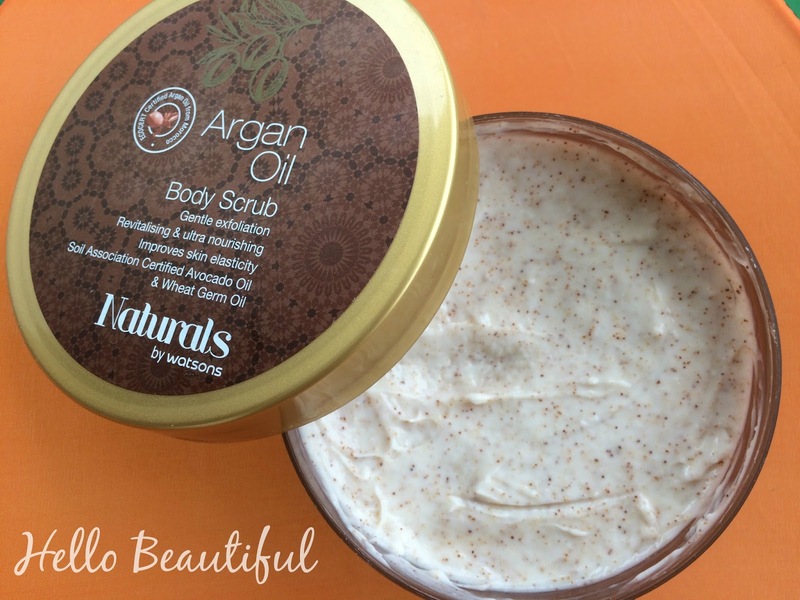 Up next is Naturals' Argon oil body scrub by watsons. This claims that it improves skin elasticity. Basically I use in the shower once a week. It leave my skin soft like baby skin and moist. I really love this body scrub. I am basically not a big fan of its fragrance but maybe some of you guys love it. This has naturally ruch in essential fatty acids. Its intense nourishing and moisturising effects provide nutrition and protection to your skin. This scrub is enriched with Walnut powder and apricot powder to gently cleanse and exfoliate skin. Vitamin B complex, Vitamin E and Vitamin K from Soil Association Certified Organic Avocado Oil and Wheat Germ Oil provide revitalising effects, keeping your skin soft and supple after use. It has the beads. The beads almost feel like salt. Whenever, I'm using this is shower I feel like I am bathing in beach because the beads almost feel like salt. Overall, these products are great and I will definitely will repurchase it. good review btw..i have been using these hair products lately and it is very promising for my hair styling and its health as well. thanks for the review btw..it will help other young men like me out there to go for the best hair products.. I have a question, can you use the hair oil on your pubic hairs? I bought the argan hair oil but the fragrance was so faint! Is yours the same or did i bought a bad batch? Pls reply!! !